Starlinger is a machinery manufacturer that specializes in equipment for the production of woven plastic packaging. Machinery is supplied for every production step in the bag-making process: tape extrusion lines, tape winders, circular looms for weaving of endless tubular tape fabric, coating and lamination lines, flexographic printing machines, and sack conversion lines. The company’s customers are mainly packaging producers who cater to the construction and building materials industry (cement, lime, gypsum, etc.) but also the chemical (powders, resin, etc.) and food (flour, grains, cereals, dry pet food, etc.) sectors. 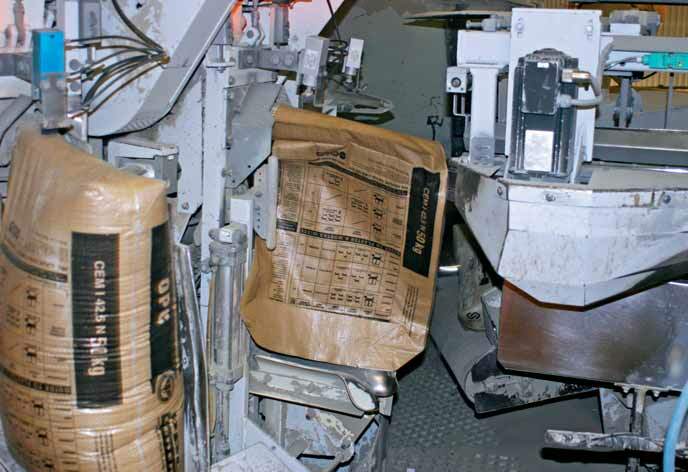 A growing share of cement producers have started to produce their own packaging in the last years, many of them using Starlinger technology to produce woven block bottom sacks to provide durable and highly protective packaging for their product (AD*STAR® technology). Woven tape fabric is also used for FIBC (flexible intermediate bulk container) production, providing adequate strength and durability. To keep its customers one step ahead of the competition, Starlinger continuously improves existing technology and develops new technical features that improve production efficiency, output and product quality. The aim is to reduce the production costs of the sack and thereby ensure competitive prices. An important cost factor for producers is raw material: as natural resources are getting more and more scarce, raw material prices continue to rise — in case of polypropylene, prices have increased by more than 9% since 2008. Following the motto ‘make more of less’, Starlinger gears production technology towards less raw material consumption, ensuring at the same time that the required packaging characteristics are achieved. The special properties of woven polypropylene tape fabric make the produced sacks extremely durable, break- and tear-resistant despite being very thin and lightweight, and ensure that their content is protected against humidity or other environmental impacts. To give an example: a woven sack that holds 50kg of filling weight, can weigh as little as 55g — and less weight means less raw material input. Starlinger presented the woven*FFS® bag in 2010. Being the first woven bag that can be used on FFS (Form, Fill, Seal) filling lines, it brings the advantages of woven tape fabric packaging such as high tear propagation resistance, high tensile strength and low packaging weight to this sector. Starlinger has recently supplied equipment for AD*STAR® sack production to Mamuda Agro & Allied Products NIG. LTD. Designed for the economic production of standard, open mouth, two-ply, pocket valve and BOPP laminated AD*STAR® sacks. High production efficiency is achieved with quick material roll and format change, little machine downtime and a low waste rate. Production speed: up to 85 sacks/minute. The pin-free continuous sack transport system and the precisely working bottom forming section ensure reliable bottom and top closure without harming the fabric. An integrated fabric width monitoring system continuously checks the fabric width and automatically compensates width variations, ensuring constant high-quality bottom geometry. This does not only avoid unnecessary machine stops but also reduces the number of rejects significantly. Heavy-duty circular loom for FIBC fabric RX 8.0: the RX 8.0 is primarily designed for the production of PP and HDPE tape fabric for heavy-duty applications such as FIBCs, tarpaulins, as well as geo- and agrotextiles, and meets the specific machine requirements on the target markets. Nevertheless, also the production of lighter fabrics — down to 55g/m2 — is possible. The new eight-shuttle loom ensures high-quality output, easy handling and smooth operation due to electronically controlled settings and well-engineered technical features. The use of new materials reduces strain and friction on the tapes and increases the lifetime of wear and tear parts, keeping maintenance and spare part expenses down.With its excellent price/performance ratio the RX 8.0 makes high-tech weaving possible at a competitive price. Small-size block bottom valve sack AD*STAR® *mini: to extend the size range of AD*STAR® block bottom bags and to reach the end-consumer market, it is now possible to produce also very small sack formats on Starlinger block bottom bag conversion lines. The AD*STAR*mini® is currently the smallest woven block bottom valve sack worldwide. With a capacity of 5–15kg (depending on the bulk weight of the content) it is perfect for packaging smaller quantities of dry bulk materials sold in the retail sector. Starlinger & Co. GmbH, a Viennese family business with production sites in Weissenbach, Lower Austria, and Taicang, China, has been in the mechanical engineering industry since 1835 and has been exporting products worldwide for over 45 years. Being an expert in the field of machinery and complete lines for woven plastic bag production and PET recycling and refinement, Starlinger has an export quota of more than 98% and is a synonym for leadership in quality and technology in over 130 countries. AD*STAR® and woven*FFS® are registered trademarks. AD*STAR® sacks are produced exclusively on Starlinger machinery.